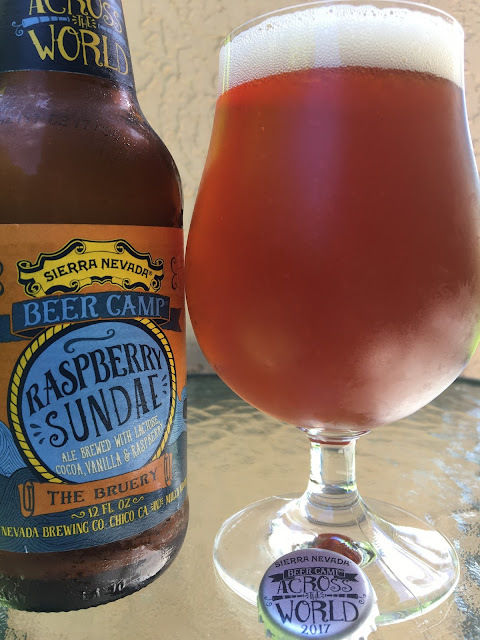 Next up on the Sierra Nevada Beer Camp 2017 tour: The Bruery Raspberry Sundae Ale, a beer brewed with lactose, cocoa, vanilla and raspberries. 8.0% alcohol. PKGD 04/21/17. Let's see if this hits their ice cream sundae inspiration. Aroma is tough to find but has some light raspberry and cocoa there, very tame. WOW! Flavors all up in your face, super interesting! Raspberries shine from the start, bright, tart, excellent. Then layers of flavor wash over that, cocoa and vanilla in one super nuanced wave. Alcohol is noticeable, continuously bringing out the raspberries in full force. Prickly carbonation. Super creative, really liked it. 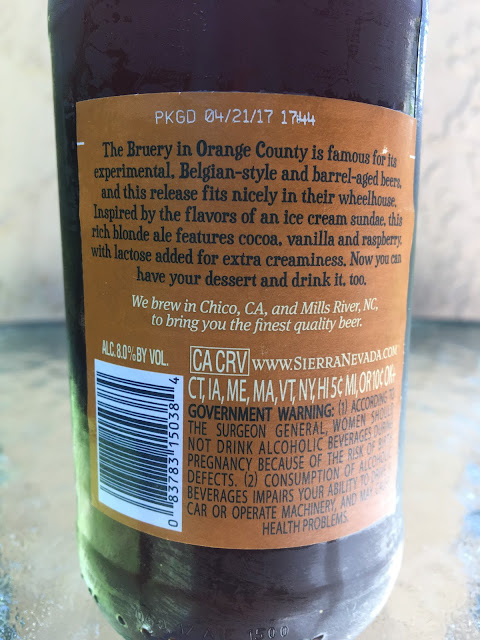 Definitely delivered on promise from its name!